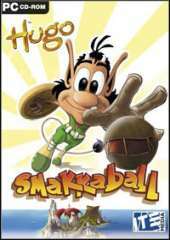 Smakkaball is played in an arena, and you play to claim the arena, to ''own'' more of the arena than your rival. But instead of fighting for floor space, you fight to control as much of the walls as possible. The player to claim the most wall ''owns'' the arena, gets the most points, and wins the game. It's a game of prestige. Part of the Smakkaball prestige is not only to own the arena during the game, but also to own an arena for real. Many characters therefore have their own arenas and typically decorate their arena and give it their personal touch. As the tradition prescribes, the players must show up in a cool personal outfit. And players have always shown great enthusiasm and creativity to design an outfit that not only suits them best in this physically demanding sport, but also to create an outfit that underlines their personal playing style.